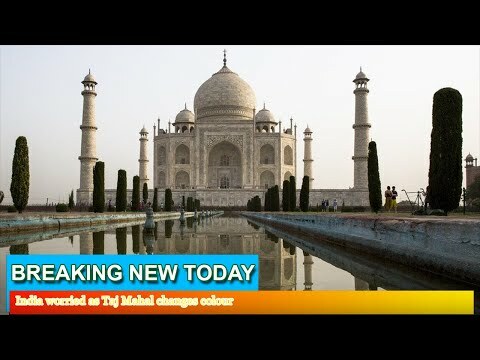 Taj Mahal color change pollution, India’s most famous monument is slowly turning from white to yellow, brown, and green—and the country’s Supreme Court is accusing the government of not caring. At a hearing Tuesday, India’s top court ordered the government to seek advice from overseas and spend whatever it takes to fix the Taj Mahal, the BBC reports. “Even if you have the expertise, you are not utilizing it. Or perhaps you don’t care,” justices said after reviewing photographs of the decaying 17th-century monument, which is being turned yellow and brown by smog, and green in places by insect dung. Local factories have been closed and a mud treatment to remove stains is underway, but environmentalists say the problem keeps getting worse.